This should be the motto of a newly unveiled customer loyalty program at one local business. After 15 years, independent Annapolis lingerie boutique à la mode intimates has updated their rewards program to better reflect the needs of their demographic. 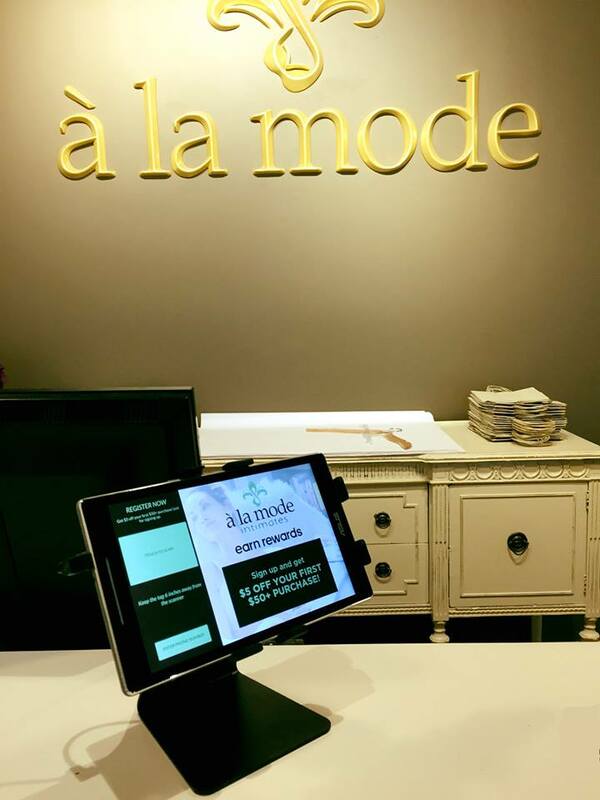 The new à la mode Rewards Program, administered via TapMango, is available as an application via smartphone/tablet or loyalty key tag with a scannable QR code. It gives users points for making a purchase, referring friends, attending in-store events, celebrating a birthday and offers instant notifications of new arrivals from a user’s favorite brands. Participants can track rewards and vouchers and access store information. Above: Rebecca Ulrich-Dodson, Corry Clark and Patti Platt of á la mode go over inventory lists. 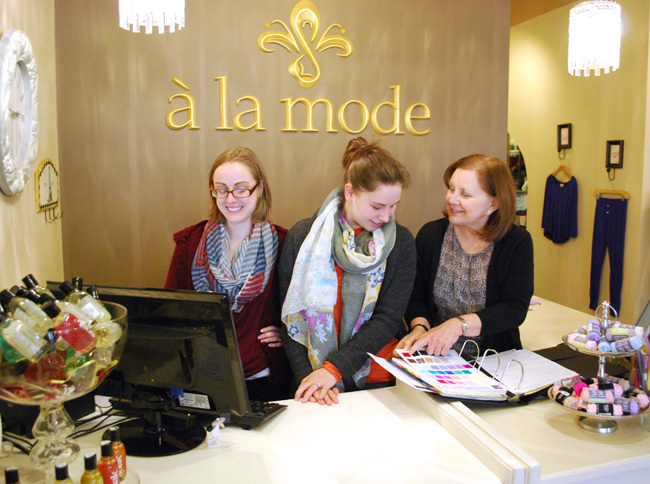 Since 2003, à la mode intimates (1910 Towne Centre Blvd, Annapolis), an independent women-owned business, has provided bra fittings, an extensive range of bra sizes, from A to K cup and band sizes from 28 to 44, as well as sports and nursing bras.